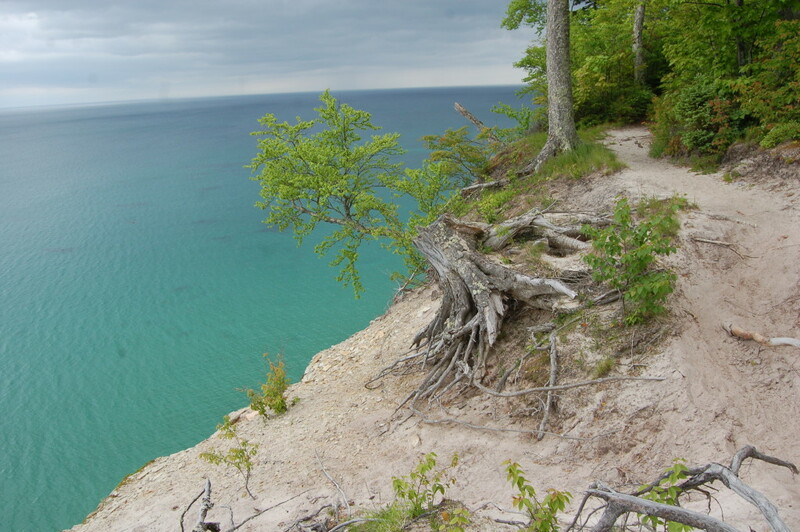 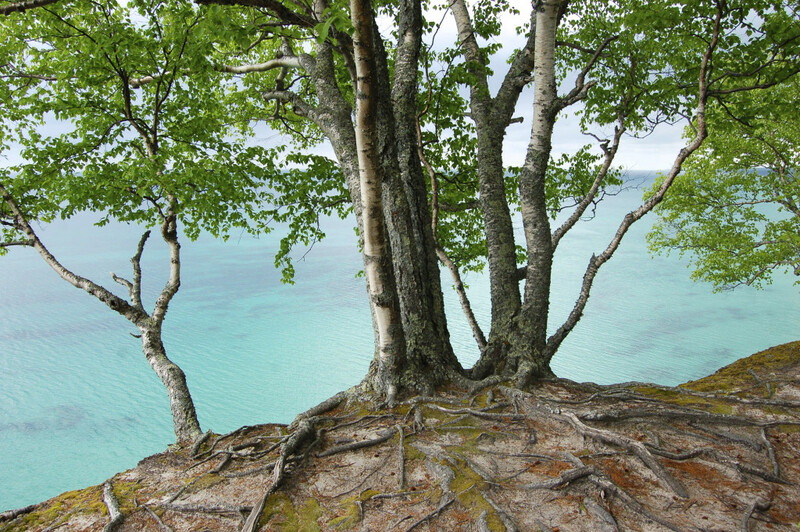 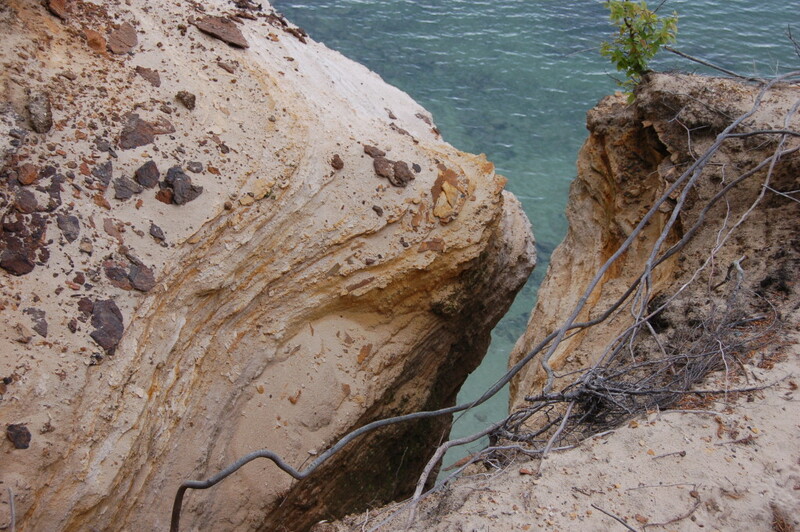 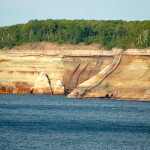 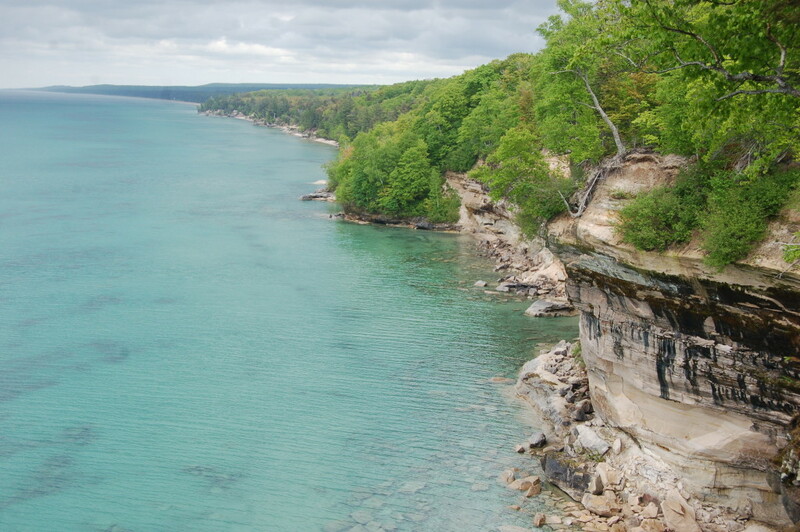 The Pictured Rocks National Lakeshore is full of amazing sights, with stunning waterfalls, towering, colorful sandstone cliffs, Miners Castle and other attractions continuing to draw visitors from all over the country (and from other countries as well). 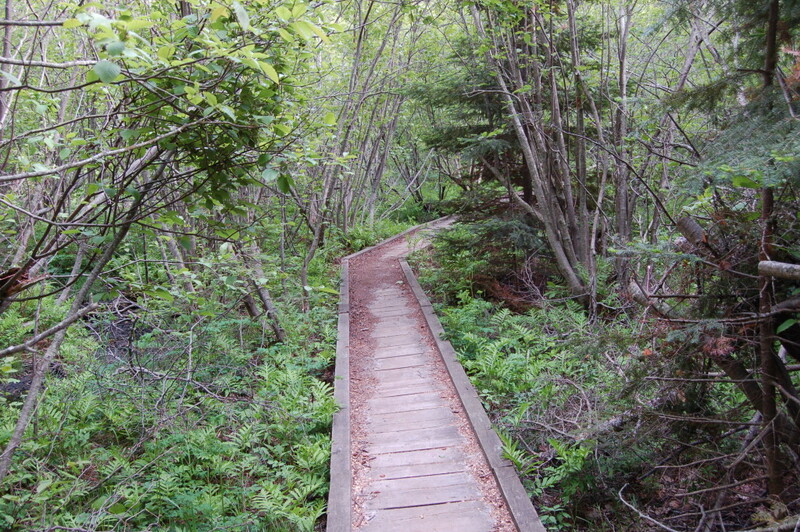 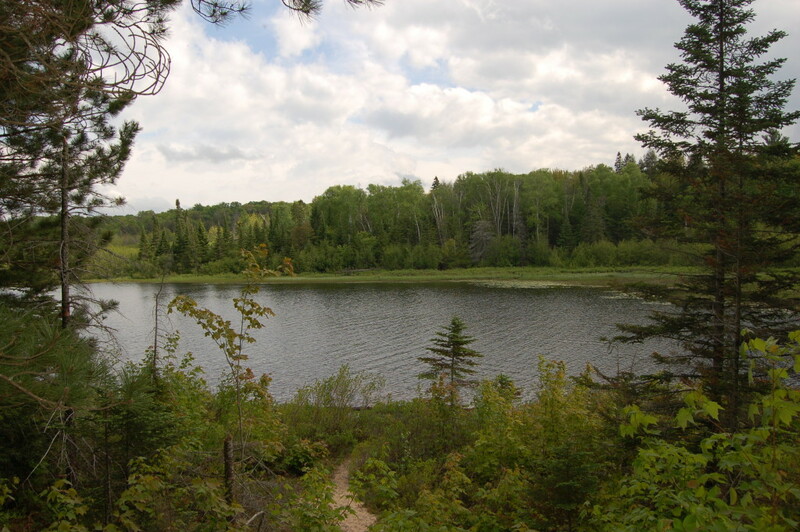 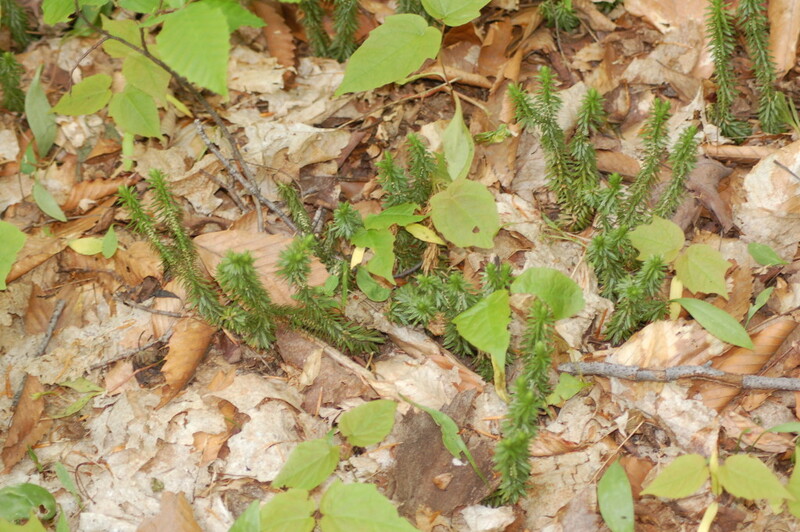 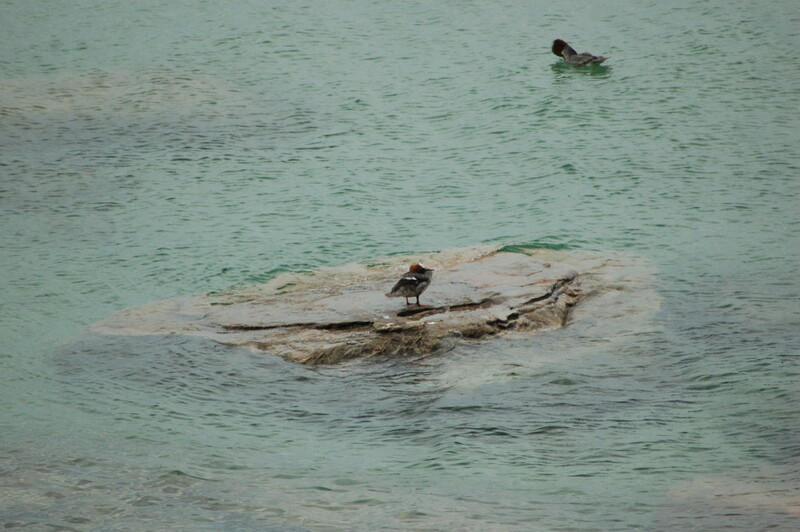 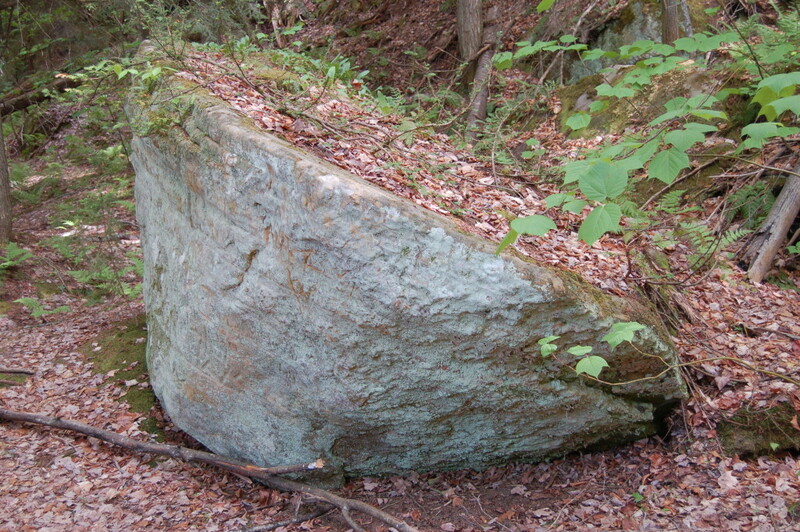 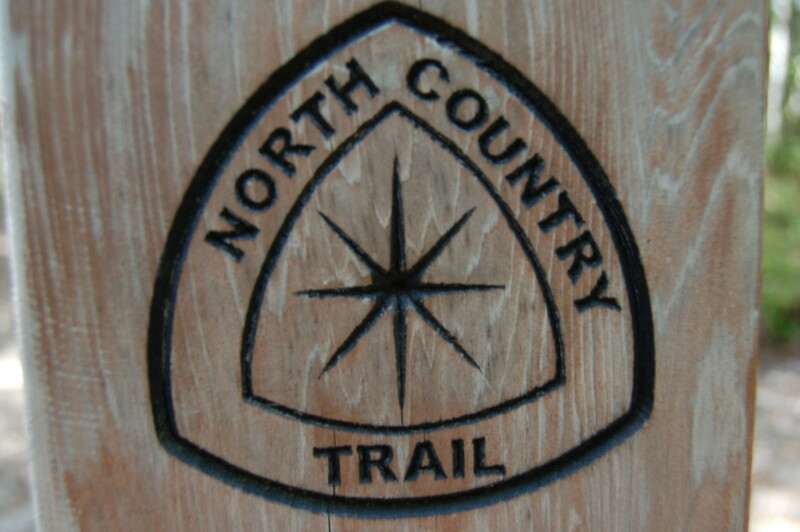 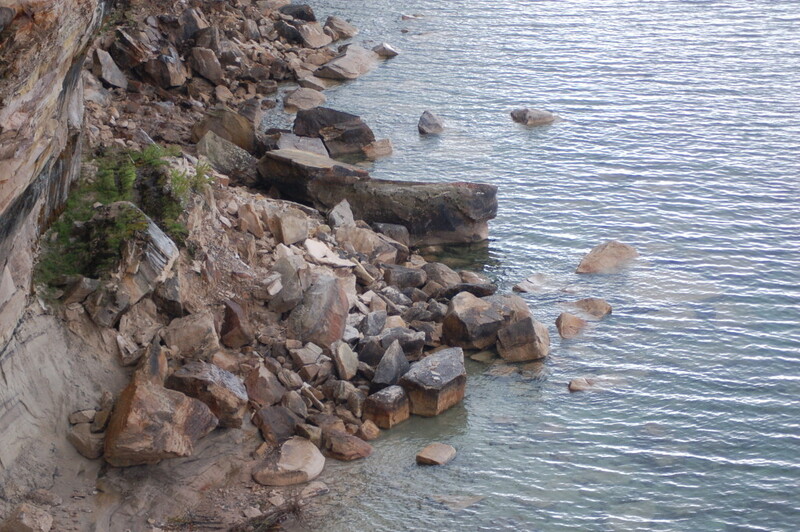 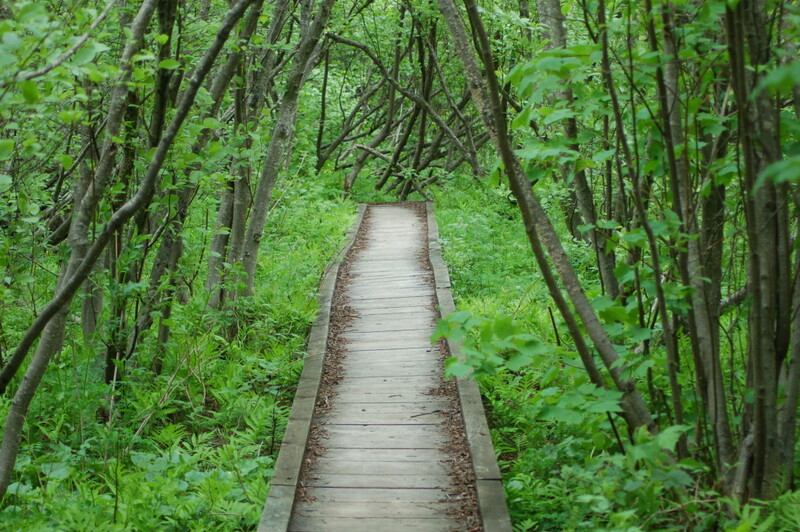 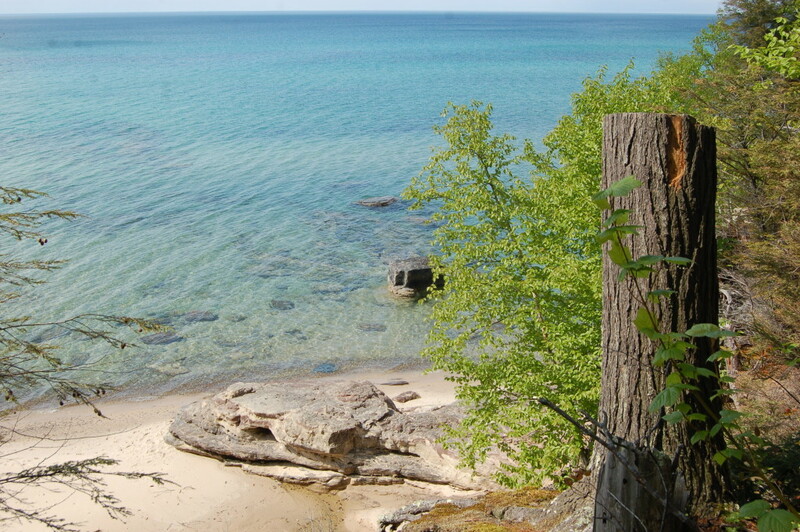 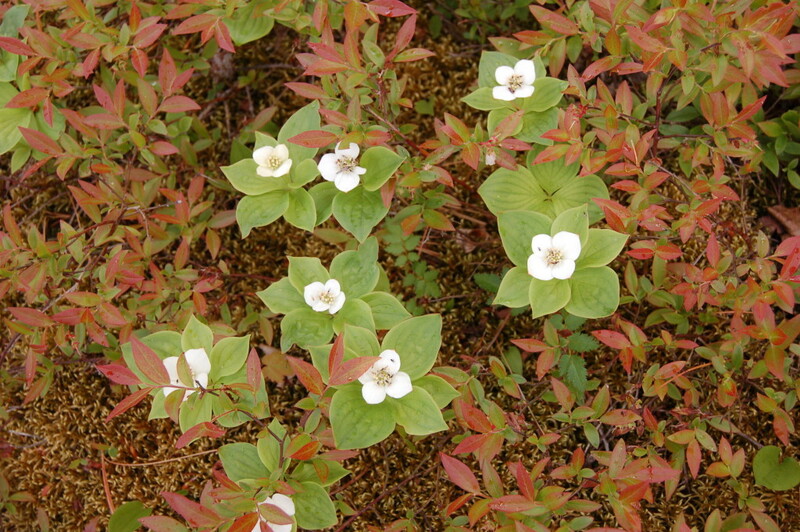 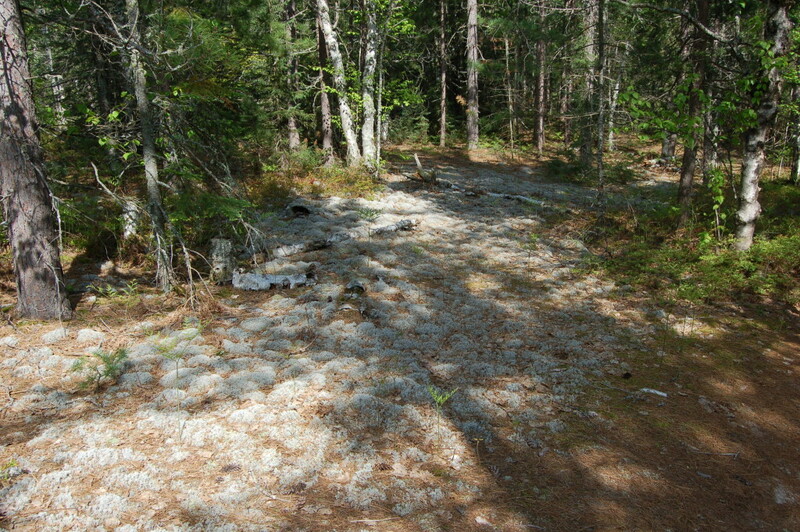 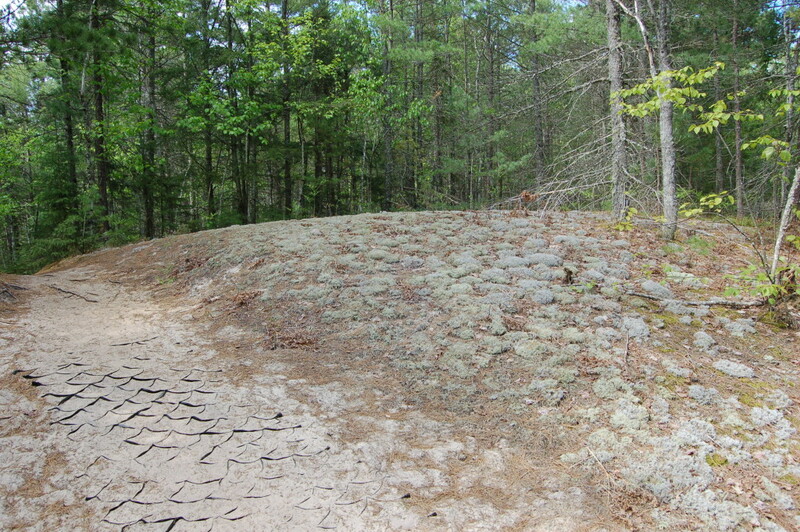 Many of the sites can be reached by short, easy hikes from well-paved parking lots. 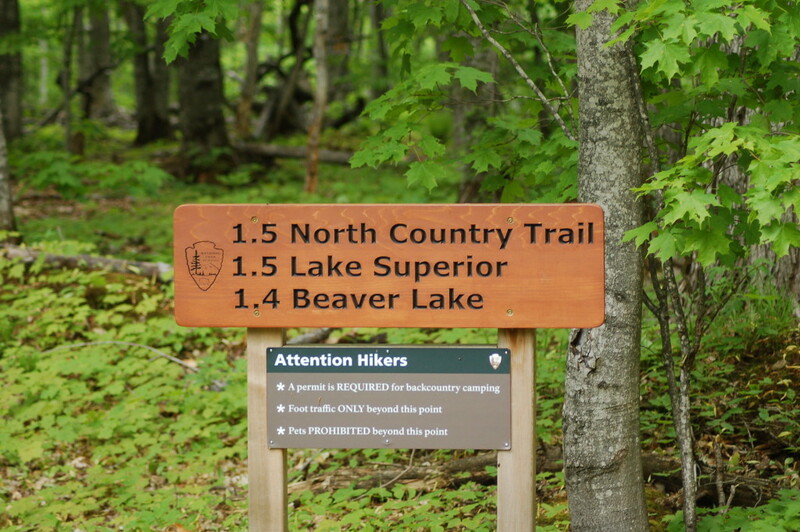 Others require a bit more work, and in June 2014 we set out on one of the harder hikes in the park – the 2.5 mile hike out to Spray Falls on Lake Superior. 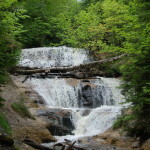 Spray Creek makes a 70-foot plunge into Lake Superior, and we chose to make the trip to this remote yet beautiful waterfall from the Little Beaver Lake campground parking area. 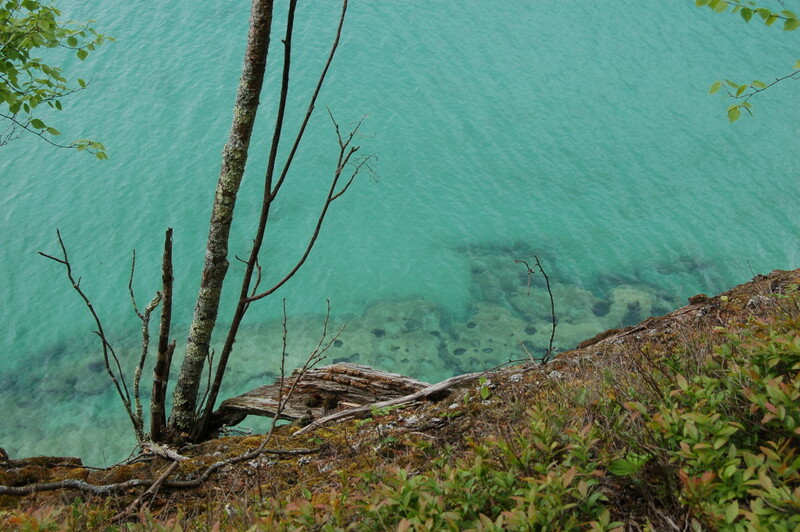 It was a challenging hike, and we were racing against some ominous looking clouds by the time we reached our destination, but the amazing sights on this trip made it all worthwhile. 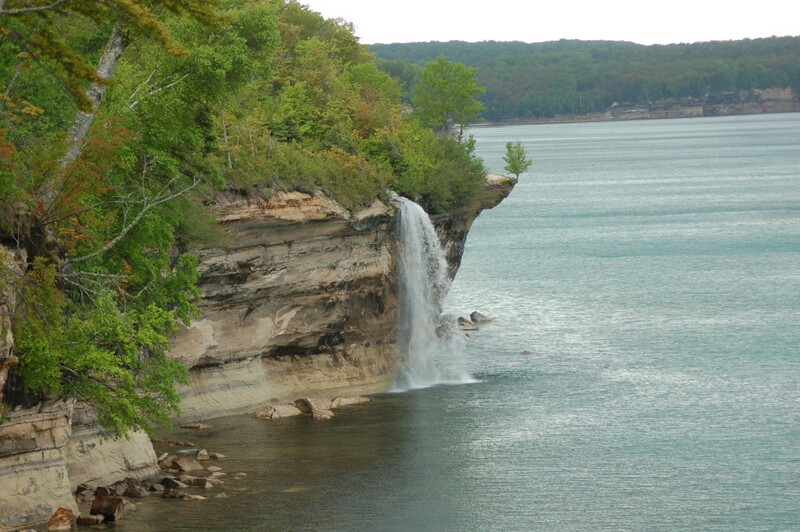 Below, enjoy a look at some of the views we took in on this hike, and consider adding Spray Falls to your summer itinerary! 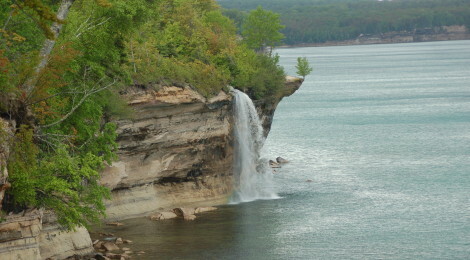 Other Pictured Rocks National Lakeshore waterfalls that are easier to check out include Miners Falls, Munising Falls, Potato Patch Falls, Elliot (Miners Beach) Falls and Sable Falls. 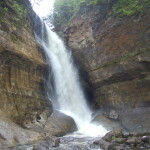 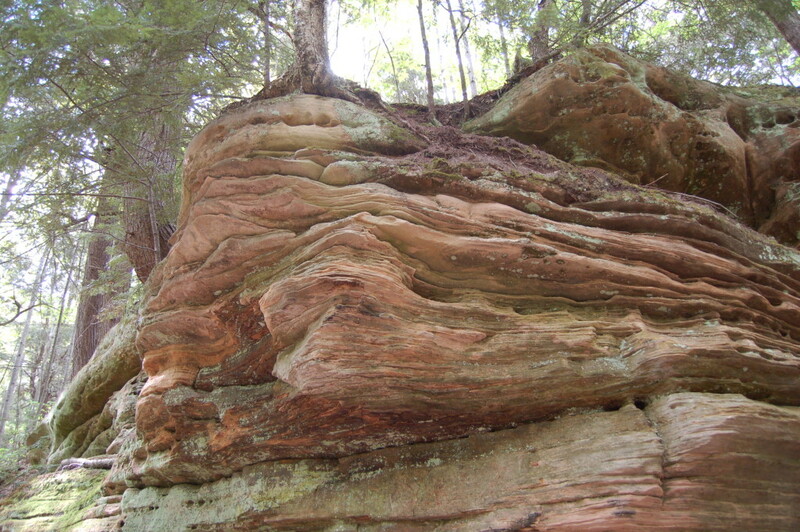 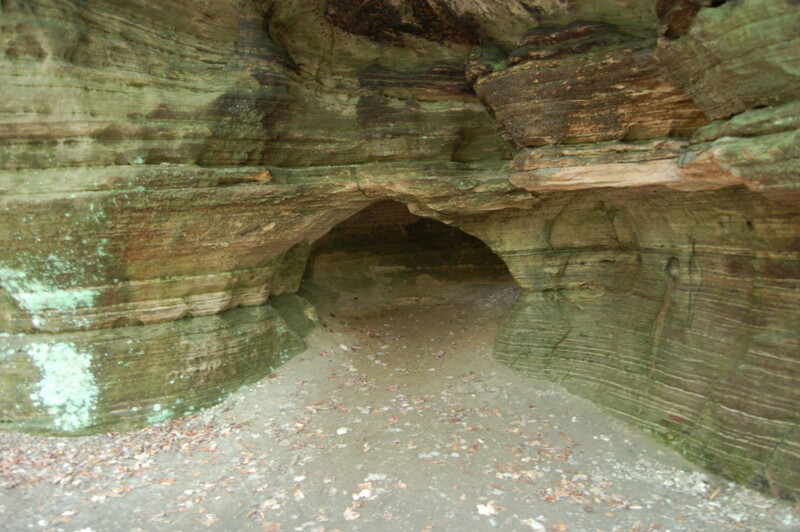 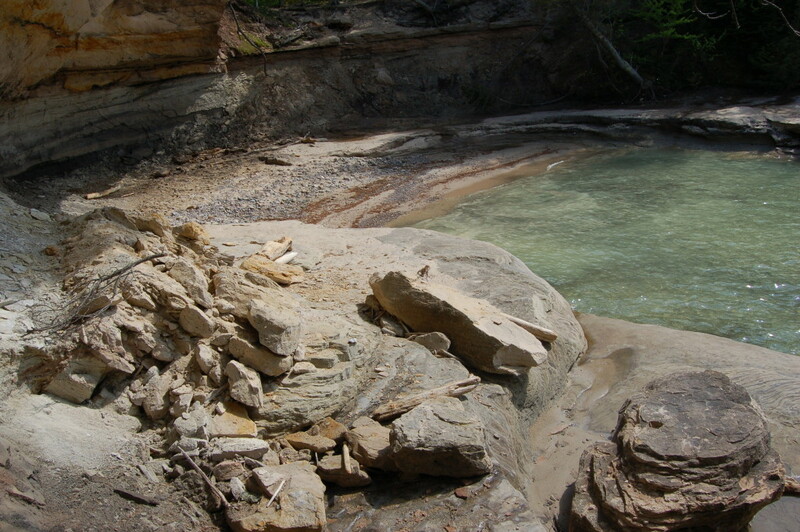 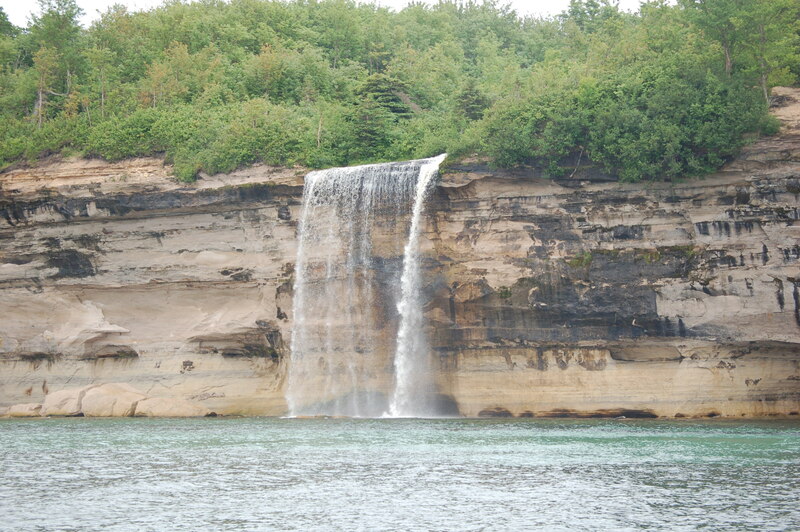 Wagner Falls, MNA Memorial Falls, Tannery Falls and Horseshoe Falls can be found within the Munising City limits. 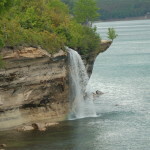 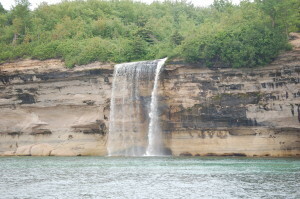 Another way to see Spray Falls is to take the extended trip with Pictured Rocks Cruises. 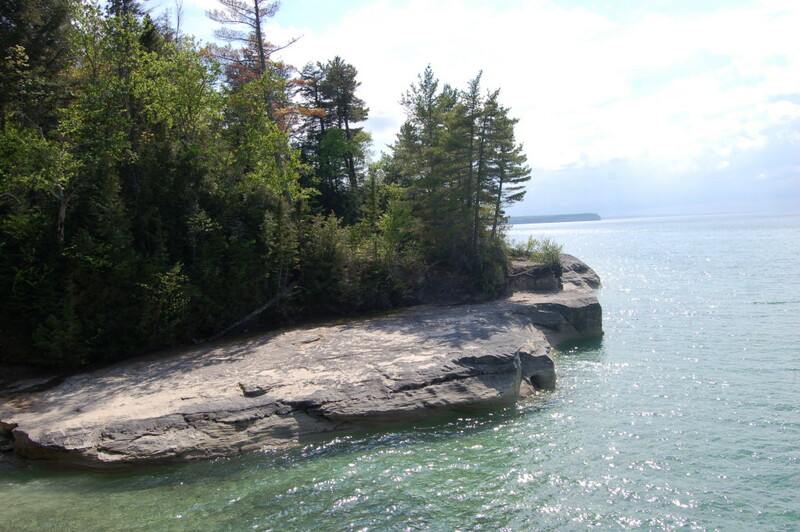 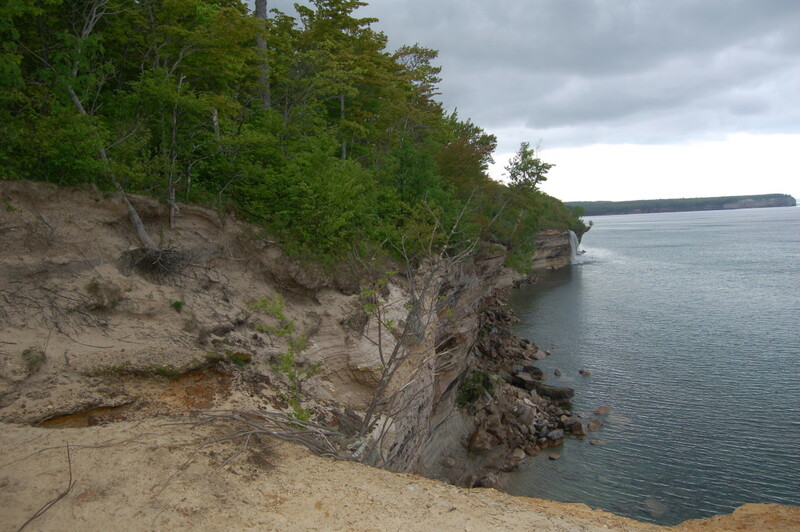 We recommend staying at Munising Tourist Park Campground during your visit, and consider a kayak trip with Uncle Ducky Outdoors for a different view of the National Lakeshore and some of its waterfalls.